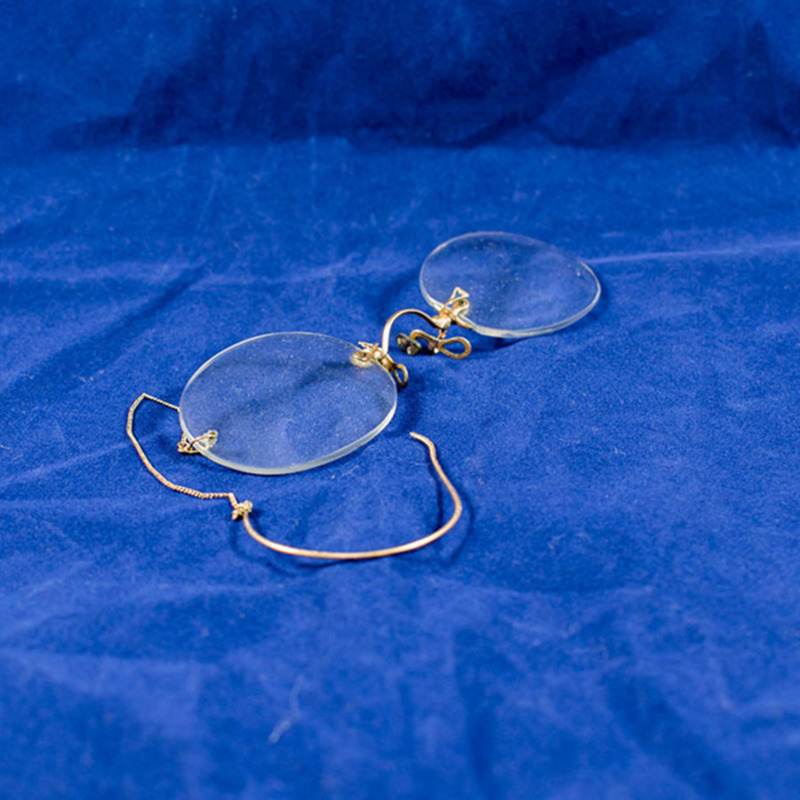 A pair of gold rimless pince-nez with gold ear chain. “Pince-nez Spectacles,” Heritage, accessed April 22, 2019, https://heritage.rcpsg.ac.uk/items/show/445. 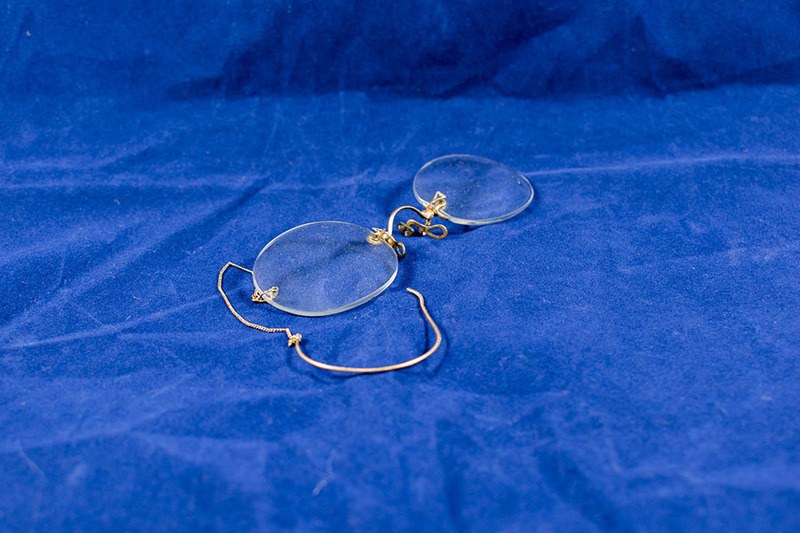 Description: A pair of gold rimless pince-nez with gold ear chain.